When we were kids my older brother and I made tons of mini-comics (I still have almost a hundred of them) but Ninja was my first solo effort in the realm of comics making. Here is the four page first issue complete with cover and bonus poster. Possiby the best comic I’ll ever make. 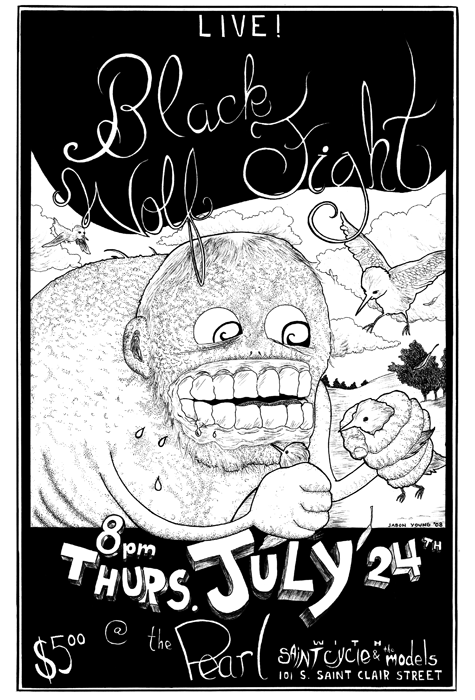 This is a poster Jason drew for a friend’s band, Black Wolf Fight.